Leading Manufacturer of twin wheel chair caster, twin wheel chair nylon pu caster and twin wheels office chair caster from Mumbai. In an endeavor to give our clients customized range of Twin Wheel Chair Caster, we work as per their requirements. The best quality of Twin Wheel Chair Caster is extensively used in all industries for making products very easily. The best qualities of our products are available in the market in bulk at reasonable rates. Keeping in mind the various requirements of the customers, we are involved in offering the best quality of Twin Wheel Chair Nylon PU Caster. 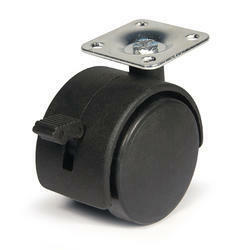 This Twin Wheel Chair Nylon PU Caster is known for its durability. Twin Wheel Chair Nylon PU Caster is extensively used on hardwood floors, in the dairy industry, meat processing, and automotive industry. 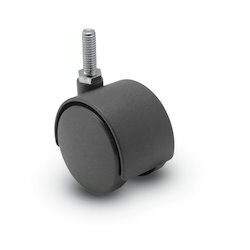 We offer Twin Wheels Office Chair Caster. These wheels are widely used in Furniture. These wheels are manufactured in accordance with client requirement and can be delivered within given time frame. These are highly appreciated by client because these are manufactured by high quality material. 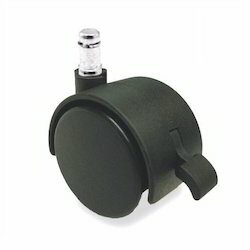 Looking for Twin Wheel Chair Caster ?